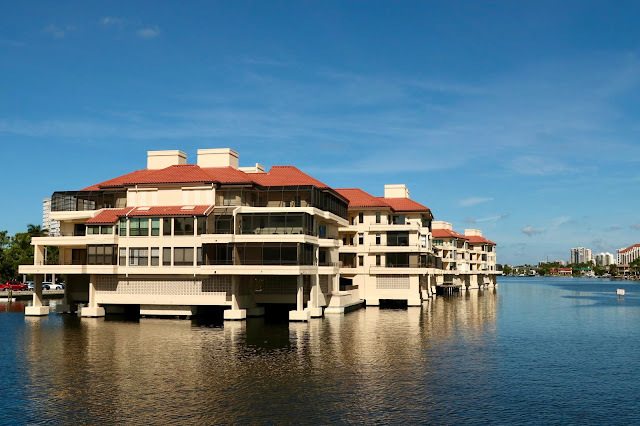 This low-rise condo complex on Venetian Bay has always looked to me like it is floating. If I wanted to live in a condo, I would look at these. It must feel like you're floating too, at least when you're looking out of the windows. It looks as if boats can dock right up to the building, Jack! "They Told Me I Couldn't. That's Why I Did"